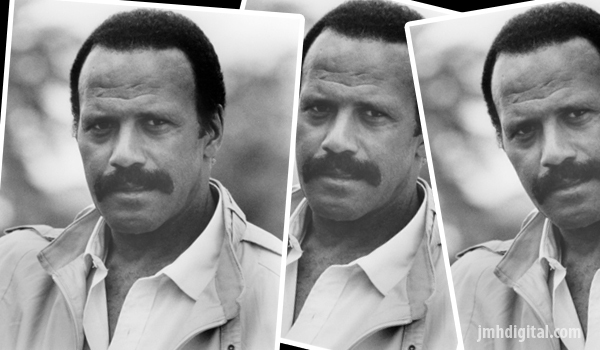 Former football player Fred Williamson (M.A.S.H., Black Caesar) brings his athletic prowess and acting chops to the role of B.J. Hammer in the street-smart, action pic Hammer. A boxer on-the-rise, Hammer is asked to throw a fight by the local Mob who have figured prominently in his success. His moral dilemma hits close to home when the life of his girlfriend, Lois’ (Vonetta McGee, Blacula, The Eiger Sanction) is put in jeopardy. Rounding out the Hammer cast are Bernie Hamilton (The Swimmer, TV’s Starkey and Hutch) and William Smith (Any Which Way You Can, The Frisco Kid) in the Bruce Clark (The Ski Bum, Galaxy of Terror) directed film. Fred is ready for action, don't get in his way or you too will feel the HAMMER!